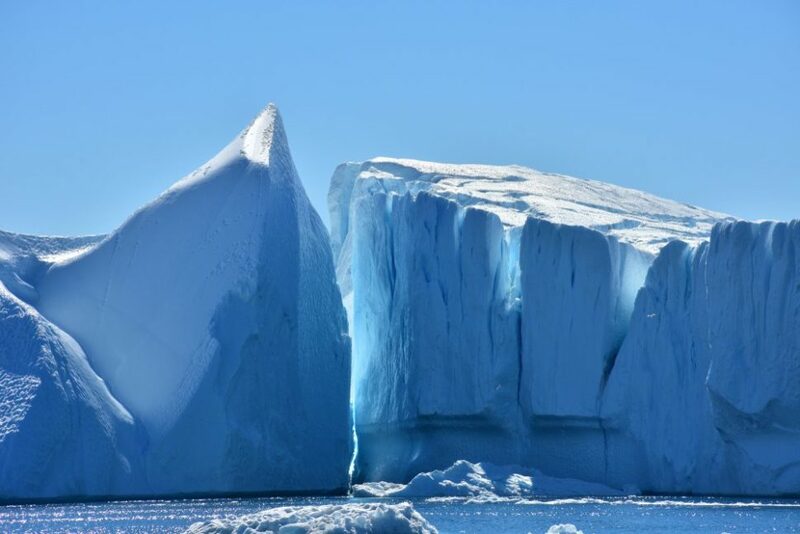 Due to global warming, the receding ice caps make the Arctic highly coveted. The U.S., Russia, China, and other nations are all looking to secure a strong foothold in the Arctic’s precarious territories. The conquest of space is now not just the business of the United States and Russia. China also wants to assert itself as a space power along with India, the EU, Japan, and South Korea all vying to be the new space program on the block. But, setting their eyes on Mars, the Moon, and farther into the solar system doesn’t make these countries forget Earth and the vast resources it contains. One equally unique and fragile place on Earth that has, until recently, remained relatively shielded from human greed is the Arctic. Now more than ever, the Arctic is a theatre of rivalries and geopolitical tensions between the world’s major powers. The region enjoyed relative isolation for a while before global warming undermined its stability and raised its economic viability. For the first time, a commercial ship made a winter crossing of the Arctic without the need of an icebreaker – a grim milestone in the climate change saga. The Arctic is warming, and its ice has already hit the point of no return. As polar ice thaws at unprecedented rates, new sea routes will open for navigation, and resources lurking under permafrost will be released. There are those who argue that links between global warming and natural cycles of the planet make it futile to try to fight it, and it’s better to adapt to it. From a purely economic point of view, the more the Arctic ice melts, the better. It’s estimated that the Arctic seafloor holds up to 30% of the world’s remaining oil resources, and 13% of its natural gas. That’s even without mentioning other significant reserves of sought-after minerals. Although a difficult reality to face, the Arctic may soon become the next “New World” for global powers to carve out for themselves. After long years of fighting international terrorism on several fronts, the U.S Department of Defense is readjusting its strategy. As terrorist groups no longer pose a fundamental threat, the Pentagon is preparing for a potential long military clash with China and Russia. The U.S’s National Defense Strategy shifts the focus to “revisionist powers”, namely Russia and China, as the “central challenge to U.S. prosperity and security”. “Major power competition, not terrorism, is now the primary concern in U.S. national security,” said the DoD in its 2019 defense budget proposal, which amounts to over $686 Billion. The U.S. has a window overlooking the Arctic through Alaska. The Arctic is one place where the U.S is seeing its superiority disputed by China and Russia. Navigation in Arctic waters is also a bone of contention between the U.S. Government and Canada. Given the geopolitical and economic stakes of the Arctic, the U.S revised its Arctic Strategy to address shortfalls and reposition its military pawns. “Akademik Lomonosov”, the world’s first floating nuclear power plant, has arrived in the Arctic into the port of Murmansk for fuel before it sets sail to the Bering Strait. According to Russia, the plant will power an isolated Russian town and prove itself as a model to providing energy in remote regions of the world. Green protestors dubbed it the “nuclear Titanic”, and see it as a new Chernobyl catastrophe in the making. As the biggest country bordering the Arctic Ocean, Russia has higher stakes in the region. Now that the oil reserves in southern Russia are drying up, those in the Arctic could pick up the slack. Russian oil giant Rosneft already started drilling an offshore well in Arctic shelves last year. The state-owned oil company estimates recoverable oil reserves to be north of 586 million barrels. Though China isn’t one of the Arctic Ocean coastal countries like the U.S and Russia, it considers itself a “near-Arctic state”, and as such, wants a piece of the frozen pie. Chinese icebreakers have been quietly roaming the Arctic Ocean for years, and now the country is ready to capitalize on the melting polar ice. Earlier last year, China unveiled its official Arctic Policy, which lays the government’s strategy in the region and how development projects should be approached. This is a first as China has never openly discussed its ambitions in the Arctic. As part of this policy, China said it will cooperate with other Arctic states to extend its “New Silk Road” to the Arctic Circle. The proposed “Polar Silk Road” will be a part of the megaproject originally launched in 2013 and aims to link three continents. It seems that instead of attempting to stem the flow of the melting Arctic ocean, these three superpowers are choosing to capitalize on the issue of global warming for financial gain. However, the socioeconomic consequences of a melted Arctic are likely to be catastrophic. At just the tip of the iceberg of future concerns, the Arctic permafrost also contains zombie pathogens and toxic mercury which could wreak havoc on regional and possibly global ecosystems. The scientific data is undeniable: the Arctic ice is melting. Now, it is up to the world powers to decide exactly how we react to this global change. Should the world powers leave the Arctic out of their rivalry game?